RB Leipzig vs Bayern ended with the first-ever victory for die Roten Bullen against Germany’s record champion from the Bavarian capital Munich. Naby Keïta with a goal and an assist. Timo Werner scores the winner. Both RB Leipzig and Bayern were on European duty midweek, and Leipzig’s Marcel Sabitzer was an early victim of the fixture congestion having to come off in the tenth minute for Timo Werner. Leipzig had never beaten Bayern before, who according to many football free bets sites could win a famous treble this season. Perhaps it was the early changes to Leipzig’s tactics, but Bayern took full advantage of the early change as without Sabitzer there was room on the wing that Thomas Müller broke into in the 11th minute and then produced a perfect cross to Sandro Wagner, who easily scored with a header from close-range. Leipzig immediately tried to hit back and in the 13th minute Yussuf Poulsen broke free from Bayern’s defence, but keeper Sven Ulreich came up big stretching out to stop the Danish forward in the one-versus-one situation. 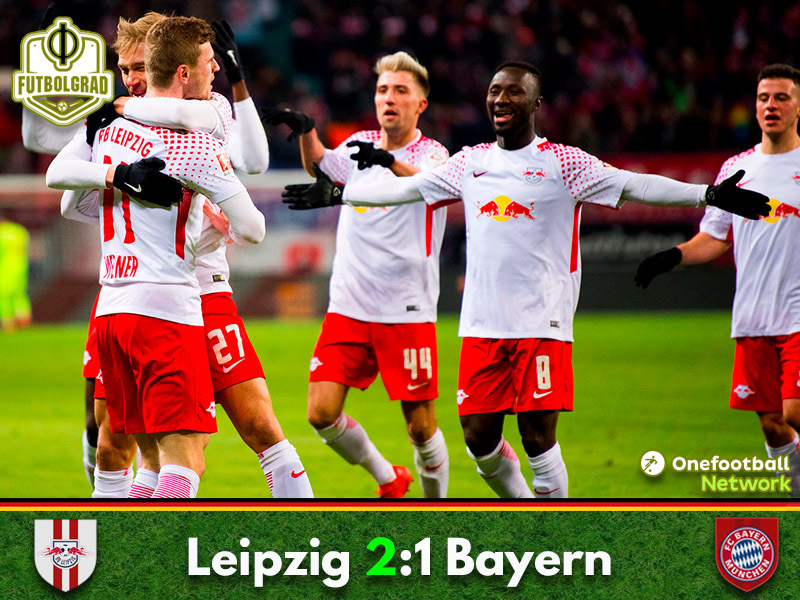 Leipzig kept pressing, and in the 26th minute, Leipzig had a double chance with Bruma testing Ulreich with a fantastic freekick and Timo Werner again from a tight angle after the ensuing corner kick. The equaliser finally arrived in the 37th minute. 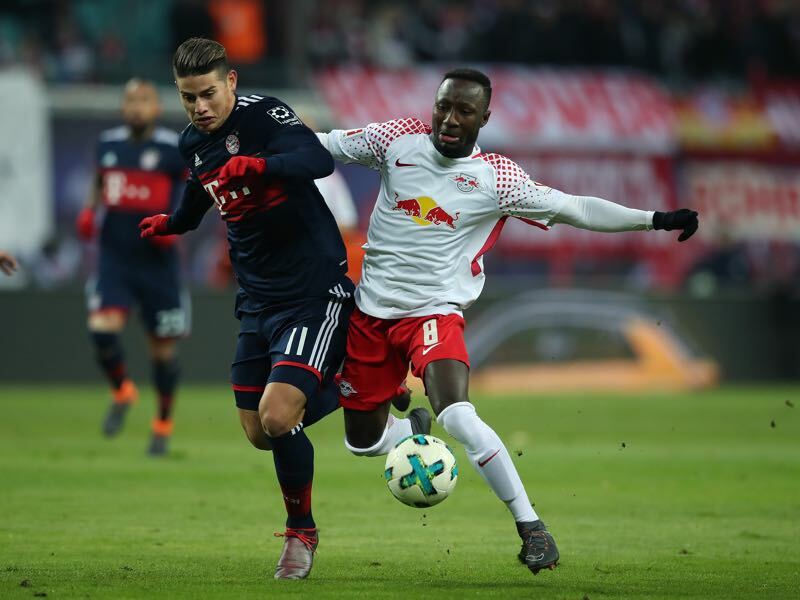 Naby Keïta worked the ball into the box from the right-flank where the ball found Werner, Ulreich, however, stopped the close-range shot, but the ball fell again to Keïta, and the midfielder made no mistake scoring from inside the six-yard box. With the scoreline, even both sides were looking to find the second goal exploiting space in midfield, but although the action went back and forward, there were no further goals to be had by either side. Going into the second half, Leipzig appeared the more dangerous side; breaking forward in numbers on several occasions and in the 57th minute, Leipzig took the lead. Break into a channel between Bayern defenders Mats Hummels and Niklas Süle Werner went one-on-one with Ulreich and beat the keeper with a low drive into the far corner to make it 2-1. From the goal, we got end to end stuff and in the 60th minute Müller broke free could not convert the chance, however, allowing Leipzig to break forward and Werner missed another glorious opportunity but missed the net from a tight angle. Leipzig were in the lead but looked vulnerable at times, and Arturo Vidal just about missed the equaliser in the 68th minute after a fabulous cross from Joshua Kimmich. Hence, even though Leipzig looked comfortable with their lead, the fact, that they missed critical chances to put the game to bed meant that Bayern looked like a side that could overturn the result at any moment. In the 85th minute, that moment seemed to have arrived after Stefan Ilsanker handled the ball in the box. The referee reviewed the play on the screen and deemed the play incidental. But even without the penalty call the game remained on a knife’s edge for Leipzig as die Roten Bullen hung on to their narrow lead to beat Bayern München for the first time in the club’s history. Naby Keïta had an excellent evening at the Red Bull Arena. Scoring the tying goal in the first half and then assisting Timo Werner game-winning goal in the second half the future Liverpool midfielder had Bayern on his strings orchestrating Leipzig’s midfield highlighting after a mediocre season that he can be the difference maker in key games. After coming close last season in their 4-5 defeat and this season in the DFB Pokal penalty shootout lose die Roten Bullen finally record their first-ever victory against the Rekordmeister. The victory also means that Leipzig are now just two points behind fourth-placed Frankfurt and, therefore, keeps RB Leipzig’s Champions League hopes alive. Bayern in the meantime have wasted their first match ball in the title race, but could still celebrate the German championship next weekend should they win and Schalke and Dortmund fail to win their games. After failing to score for 543 minutes in the Bundesliga for Leipzig, Tim Werner finds the back of the net again. RB Leipzig record their first ever victory over Bayern. Bayern managed just one shot on goal in the first half. Shakhtar Donetsk – What is next for the exiled club?